CIO Academy Asia is honoured to be a partner of the Reimagine Yes Summit 2017. Discover how to harness the powers of technology to create lasting moments of impact in an ever-changing business landscape. Reimagine all the ways to say yes to transformational change! Citizens today live in a hyper-connected world, as technology progresses to transform our living environment into an interconnected web of “smart devices’” which are mostly IP centric. Gartner estimates some 5.5 million new “smart devices” connected to networks every day over the past year, totalling an estimated 21 billion connected devices by 2020. As organisations manage an explosion of connected devices, demand for robust data computing have also gone past a scale, posing a challenge for traditional practices in infrastructure management. Delivering data processing capabilities and intelligent services, like data analytics and process automation, through centralised infrastructure at scale may no longer be operationally efficient. ‘Intelligent edge’ is a term describing a process where data is analysed and aggregated in a spot close to where it is captured in a network. The “intelligence at the edge,” has important ramifications for distributed networks. It is at the intelligent edge where local devices are leveraged to provide data computing power, where ‘smart’ operations are optimised both from the performance and quality of service standpoint. Join us as we learn from fellow CIOs and technology leaders, on developing the right infrastructure to gain the most out of your tech investments as we accelerate the progress towards the Smart City future. CIO Academy Asia’s special guests will be invited to join a VIP luncheon with select CIOs, HPE leadership executives and industry visionaries. *The organiser will manage the travel arrangements for international delegates attending the event in Singapore. In the Idea Economy that is premised on being digital, mobile and application based, the enterprises that win are those who can capitalize on time to value. Regardless of industry verticals, these companies leverage agile, flexible IT solutions to bring new ideas to market faster and respond to market disruptions quickly. HPE is the transformation partner for enterprises seeking to be successful in leveraging the power of IT via secure Hybrid IT solutions that are built on the industry’s leading software defined data center portfolio as well as the Internet of Things (IoT) and Campus Mobility solutions. In his role, Phil is responsible for driving profitable growth and market share for HPE in APJ through a best-in-class sales organization. Prior to this appointment, Phil was responsible for the Storage business in APJ and within two years, led the team to achieve solid gains in revenue, share and profitability. 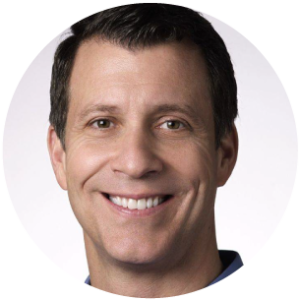 Before joining HPE in 2014, Phil was Vice President and General Manager of Dell’s Enterprise Solutions Group for Asia Pacific and Japan. He was then responsible for the overall profitability of the Enterprise Solutions business unit including server, storage networking and services lines of business. Prior to Dell, Phil was Executive Vice President, Worldwide Field Operations for Dot Hill Systems, a leading provider of disk-storage systems and software. During his tenure at Dot Hill, he helped increase revenue and transform the business from engineering-led to market focused. Phil joined Dot Hill through their acquisition of innovative pre-IPO storage company Chaparral Network Storage; where he was Senior Vice President, Field Operations. Phil has also held management roles with RLX, Vixel and Texas Instruments, clocking in over twenty years of experience in the technology industry. Phil has a Bachelor of Science in Electronic Engineering and minor in Communications from the California Polytechnic University, San Luis Obispo in the US. 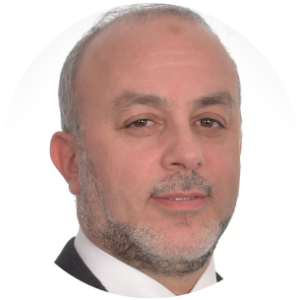 Dr. Sami has been engaged as well in major M&A and transformation programs spearheaded by technology and innovation. He came from Tunisia to Japan in 1994 and have living there since. Dr. Sami has been listed in 100 top CIO for 2017 as run by Computerworld.com. Dr Bernard Leong is currently the Head of Post Office Network and Digital Services for Singapore Post Pte Ltd, where he oversees the post offices network in Singapore and digital strategy across the organisation, manages the existing portfolio of products and builds the next generation digital products that integrates cross functionally with other business units in the organisation. Prior to that, he was a serial entrepreneur who started companies in both UK and Singapore. While not in his corporate hat, he is an entrepreneur in residence in INSEAD Business School and also a connector to the Southeast Asia entrepreneurial ecosystem. 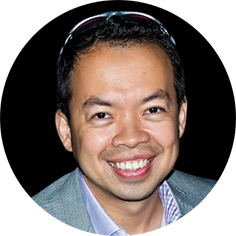 He is the founder of Analyse Asia, a weekly podcast focusing on the business, technology & media in Asia and completed the Global Solutions Program in Singularity University @ Silicon Valley. Mr Iwan Djuniardi has been serving as Director of ICT Transformation of the Directorate of General Tax (DGT) since April 2015. Prior to that, he was the Director of Tax Information Technology responsible for formulating regulations and technical standardisation in the Taxes information technology area. Some of the notable projects he has led include e-tax services such as E-Filling, E-Tax Invoice, E-Billing, and Mobile Application. He also succeeded in introducing and deploying the first Big Data Analytics among government agencies in Indonesia. Mr Djuniardi’s success in deploying innovative technology in government services have earned him many accolades, including “Indonesia Best CIO” at SWA Indonesia Best E-Corp Award 2015 and “The Most Innovative CIO” at the iCIO Award 2017. Most recently, under his leadership, the DGT received the coveted 2017 CIO 100 Award from IDG’s CIO for exemplifying the highest level of operational and strategic excellence in IT. 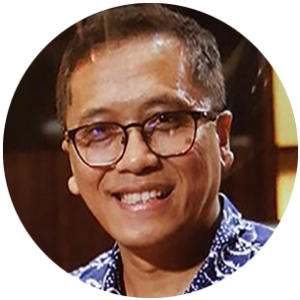 A frequent speaker at industry conferences and events around the region, Mr Djuniardi earned his bachelor degree in engineering and MBA from Institut Teknologi Bandung (ITB) in 1992 and 1994 respectively. 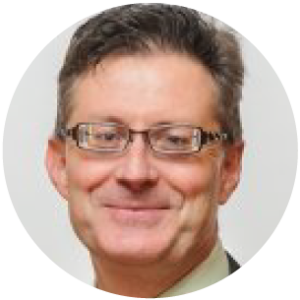 Paul Haverfield is the Chief Technology Officer for HPE Data Center and Hybrid Cloud technologies in Asia Pacific and Japan (APJ). In this role, he is responsible for promoting and educating customers, analysts, and media on all core aspects of data center compute and storage technologies, trends and best practices. Haverfield was Storage CTO since 2010, and broadened the technology coverage to include compute in 2017. He also manages a small team of country based CTO’s in Japan and Korea. With more than 30 years’ experience in IT, Haverfield has held many industry roles in both IT vendor and end-user customer organizations. Haverfield has enjoyed a very broadly-based, balanced and hands-on technical IT career spanning system management, programming, professional services consulting, complex problem resolution and customer support. 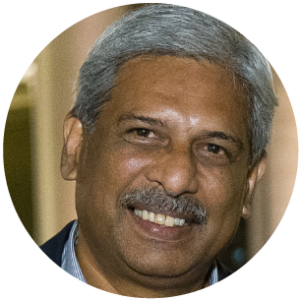 Rajiv has a career spanning over 20 years, having diverse experience in market development, technical leadership, innovation center development and building solutions for technology, services and software. He currently holds the position of Senior Director in GE Digital, having a dual responsibility for Digital Solutions & Industrial Cybersecurity. In his responsibility for managing the digital solutions practice, industrial customers are enabled to transform their businesses through greater asset reliability, reduction of unplanned downtime, lowering operating costs, reducing risks and accelerating performance through a rich portfolio of digital software solutions, that are built on GE’s Predix Platform. He is also responsible for leading GE’s thrust in Industrial Cyber Security enabled through the acquisition of Wurldtech in 2014, headquartered in Vancouver, Canada. Wurldtech is world leader in industrial cyber security solutions, providing security products, device posture testing, site assessments and security certification services to customers in the oil & gas, transportation, aviation, healthcare and utilities sectors. 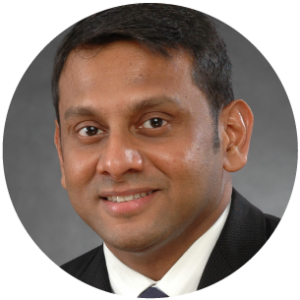 Rajiv is an expert speaker and presenter on topics such as Digital Industrial, Cyber Security for Industrial Applications and Innovation Center Strategies. Rajiv often is engaged to speak at industry events and panellist discussions. He earned a bachelor’s degree in Electronic Engineering from the University of Western Australia. He is a Cisco Certified Internetworking Expert (CCIE) and a TOGAF Certified Enterprise Architecture Practitioner. Rajiv and his wife have two children. James Whittaker’s career spans academia, start-ups and top tech companies and starts in 1986 as the first computer science graduate hired by the FBI. James then worked as a freelance developer, most notably for IBM, Ericsson, SAP, Cisco and Microsoft, specializing in test automation. He joined the faculty at the Florida Institute of Technology where he continued his prolific publication record in software testing and security. In 2002 his security work was spun off by the university into a startup which was later acquired by Raytheon. James’ first stint at Microsoft was in Trustworthy Computing and Visual Studio. He then joined Google as an engineering director and led teams working on Chrome, Maps and Google+. In 2012 James rejoined Microsoft.James’ first stint at Microsoft was in Trustworthy Computing and Visual Studio. He then joined Google as an engineering director and led teams working on Chrome, Maps and Google+. In 2012 James rejoined Microsoft. 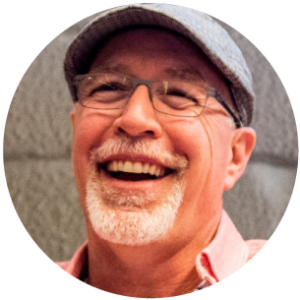 James is known for being a creative and passionate leader and sought after speaker and author. Of his five books, two have been Jolt Award finalists and one a best-seller. P. Ramakrishna (Rama) has been involved with the ICT domain for the public sector for more than 30 years. 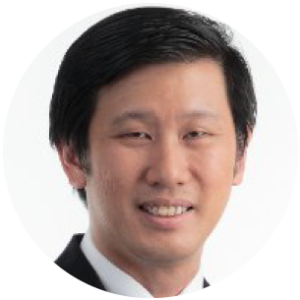 He was formerly with Singapore’s Infocomm Development Authority (now IMDA and GovTech), his last held position was Director of IDA’s Industry Development, responsible for national level initiatives to develop the ICT industry ecosystem. He has provided advisory services to develop ICT masterplans for foreign governments in Oman, Bhutan, Brunei, Trinidad & Tobago and Cambodia. He is currently the Deputy CEO for CIO Academy Asia.